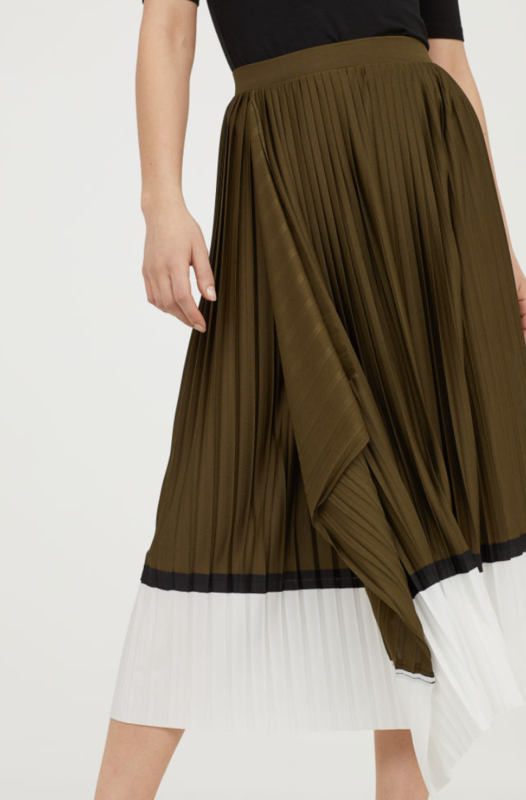 Are Midi Skirts Replacing Jeans in my Wardrobe? 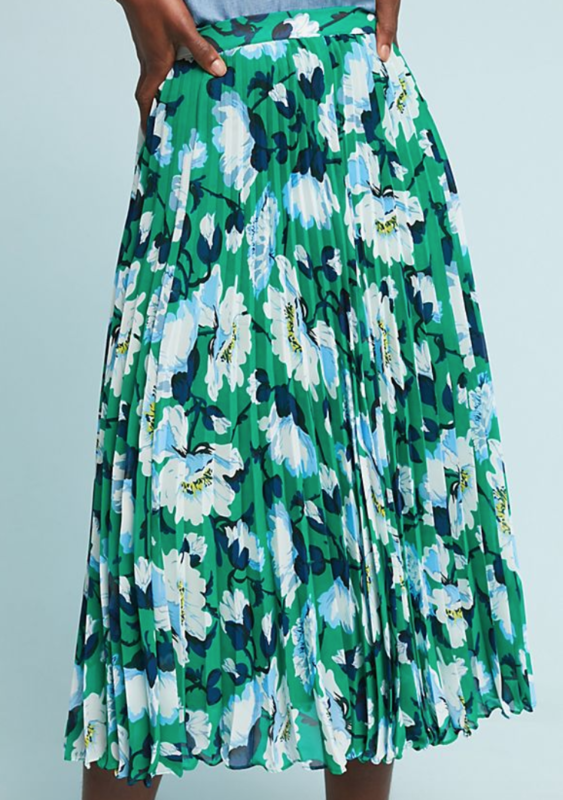 June 25, 2018 June 24, 2018 Categories StyleAnthropologie Midi Skirt, High Street Midi Skirts, How to style a midi skirt when you're short, How to style midi skirts, London Style, midi skirt ootd, OOTD, Petite Blogger, petite blogger in midi skirt, Summer London Style, Swapping jeans to midi skirtsLeave a Comment on Are Midi Skirts Replacing Jeans in my Wardrobe? 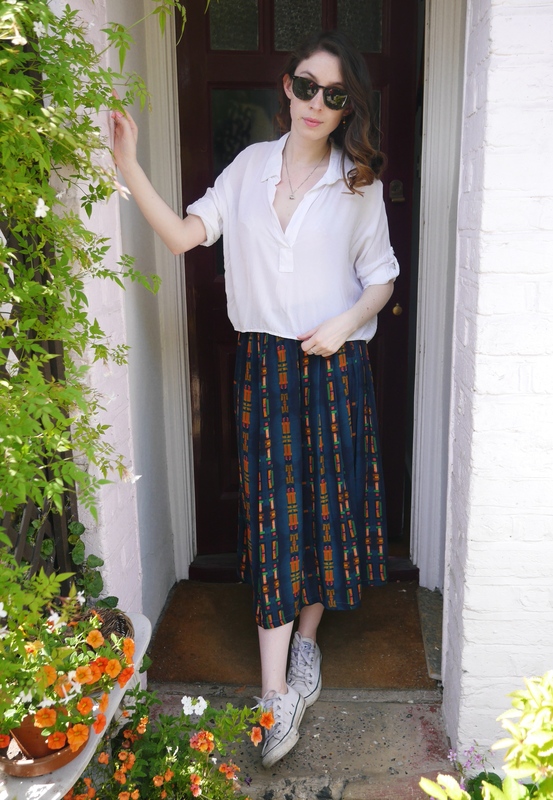 I have and always will be a jeans and a t-shirt girl, but not when the heatwave comes to London and you can barely walk without feeling sticky. 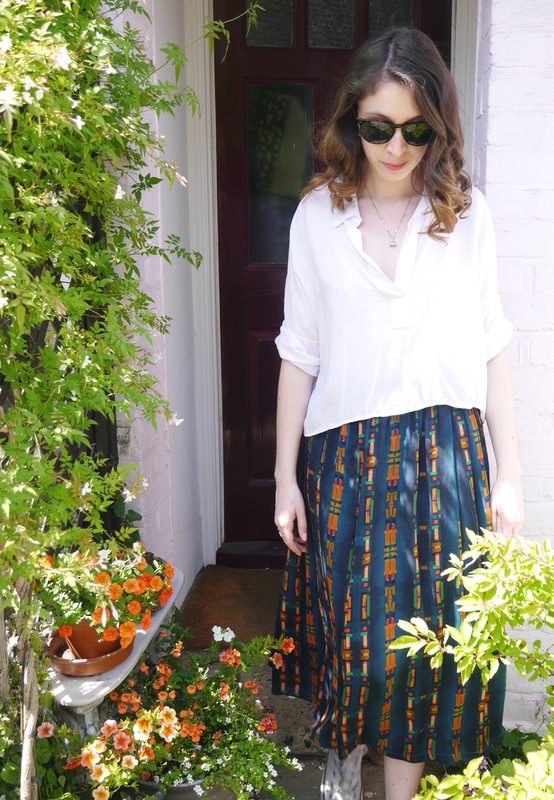 So I’ve switched out my trusty denim for midi skirts. 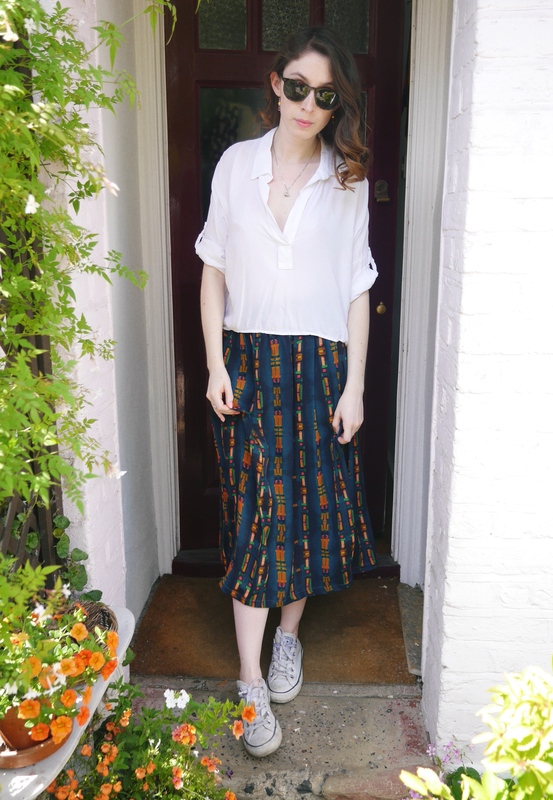 Skirt – Anthropologie|Shirt – Brandy Melville (similar)|Shoes – Converse via Office|Sunglasses – Ralph Lauren (similar). When it comes to fashion I want things that are quick and easy too style and go with most other things in my wardrobe, hence my love of jeans. 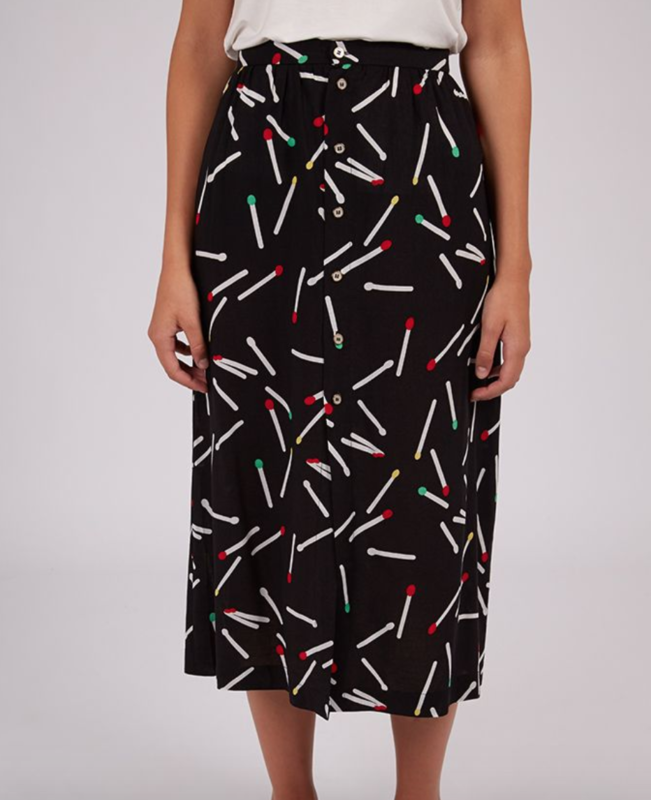 However I’ve found that the midi skirts in my collection work in exactly the same way, plus I can pair my trusty Converse with them. 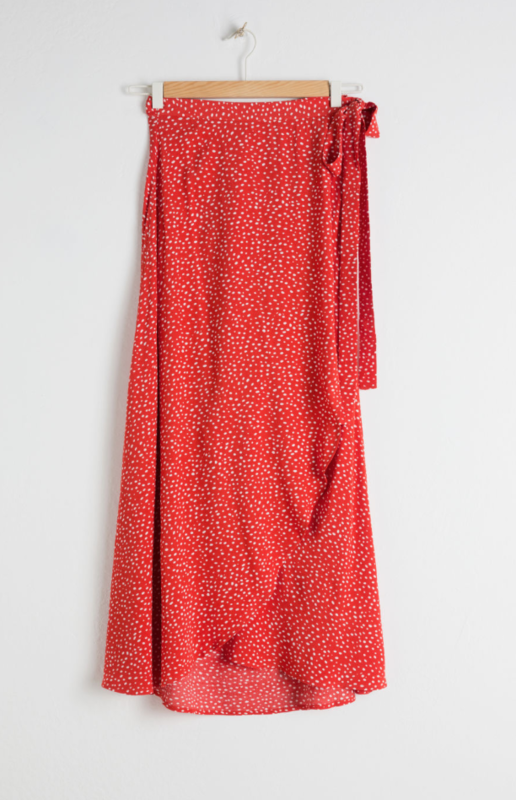 This gorgeous number from Anthropologie might have a bold pattern but works well with a number of my basic tops and is perfect for walks in the park, the office and could be dressed up with some heels. 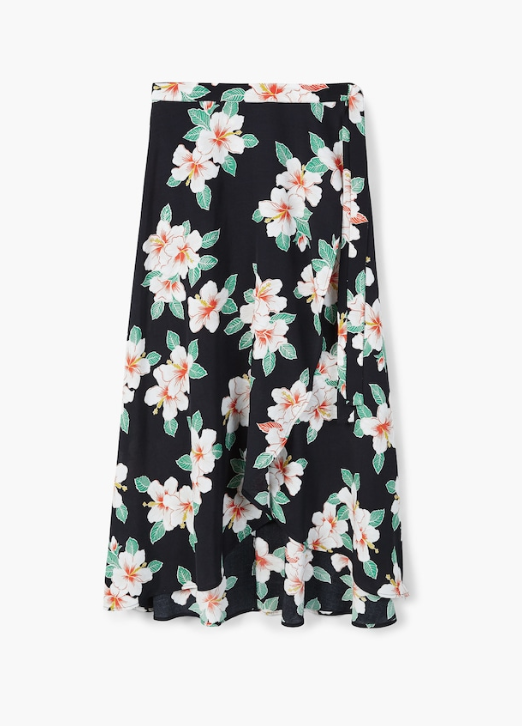 As a petite girl I was worried about the midi skirt cutting my legs short but was pleasantly surprised that this was not the case, even without heels. 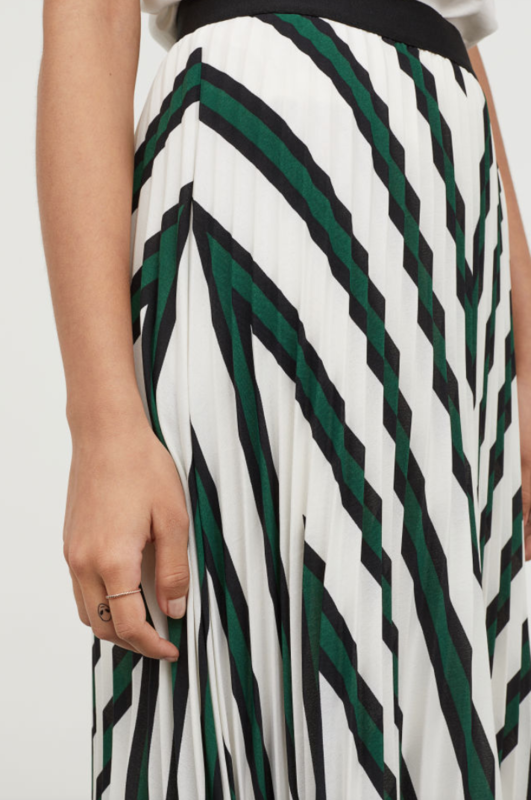 Fancy adding a midi skirt to your wardrobe? Check out my current favourites on the market.